First, we hear from Patrick Hruby, a contributing editor at VICE Sports, who makes the case against High School Football in his latest piece, “Friday Night Lights Out.” Then, I tell the story of 2016 in Sports & Struggle, and finish with a ‘Just Stand Up’ award to the Women’s Basketball Team at UC Santa Barbara their Athletic Director John McCutcheon who stood up for the team’s right to protest. 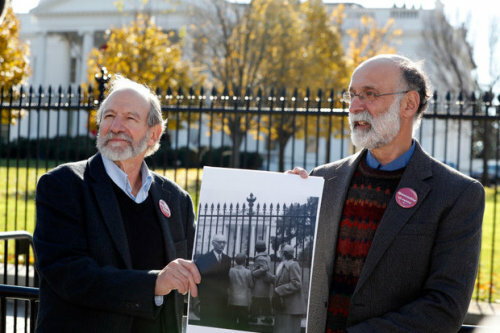 We speak this week to Michael Meeropol, whose parents, Julius and Ethel Rosenberg, were executed by the US government in 1953. We talk about his efforts to clear his mother’s name and the importance of the Brooklyn Dodgers in their lives. Meeropol reads from the letters of his parents where they discuss baseball. I also have choice words about rap icon Kurtis Blow and his underrated importance to the development of the NBA as a global phenomenon. Finally we have a tribute to the late Black Panther leader Fred Hampton, via a t-shirt on our weekly Kaepernick watch. 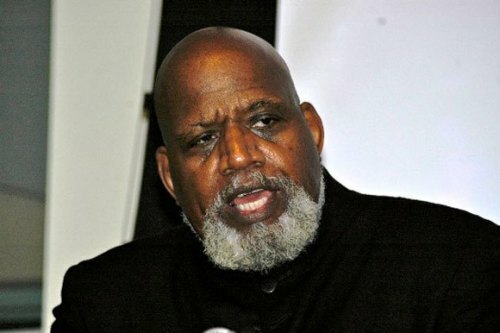 Legendary sports sociologist Dr. Harry Edwards has been working with Colin Kaepernick and speaking in locker rooms around the country. 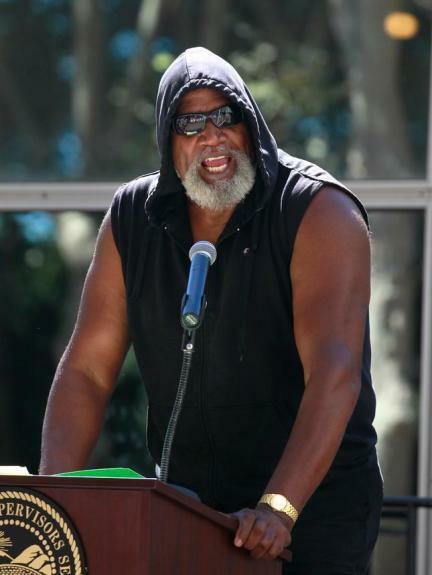 We speak with him about the recent elections and the challenges as well as the opportunities it creates for this new generation of athlete-activists. We also ask Dr. Edwards what inspiration can be drawn from the life of his old friend Muhammad Ali. In addition, I have some choice words about critics of Colin Kaepernick’s decision not to vote, we have an extended just stand up award section for every athlete already standing up to Trump and we take calls about how folks are dealing with the altered political landscape. 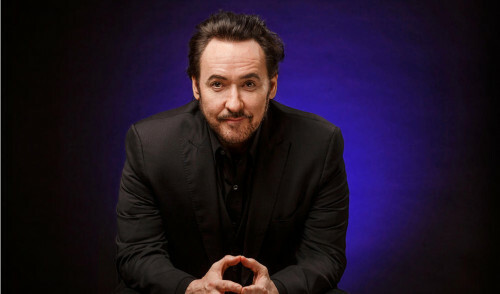 John Cusack is a renowned actor, best known for classics like Being John Malkovich, Better Off Dead, Say Anything, and for my money, the greatest sports movie of all time, Eight Men Out. Cusack is also a serious political thinker with a new book “Things That Can and Cannot Be Said: Essays and Conversations,” co-written with Indian author Arundhati Roy about a range of subjects from patriotism, war, resistance, and empire – most centrally a reflection on a trip Cusack took with Roy and famed whistleblower of the Pentagon Papers, Daniel Ellsberg to meet with NSA whistleblower Edward Snowden. We speak with Cusack on his book, his beloved Chicago Cubs, patriotism, the anthem protests of Colin Kaepernick and I slip in a couple of movie questions as well. I also have some “choice words” about Kaepernick’s first start of the season in Buffalo and “Just Stand Up” awards go to Wisconsin Badger Nigel Hayes and LA Dodger Adrian Gonzalez. 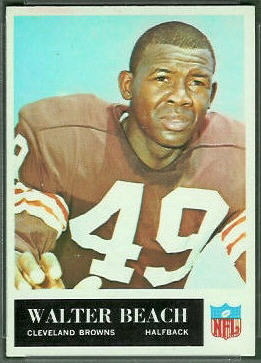 We speak to Dr. Walter Beach, starter on the Cleveland Browns 1964 Championship team and member of the famed Muhammad Ali Summit about the politics of sports and racism: what has changed and what remains the same from his days in the NFL. He is as deep a thinker as you will find and this will “wow” you. We also speak about Colin Kaepernick’s comments about the Trump=Clinton elections, the gorilla taking the field with an All Lives Matter sign, and we have a Just Stand Up award for a player released from the NFL after taking a knee in London, and the East Carolina band. 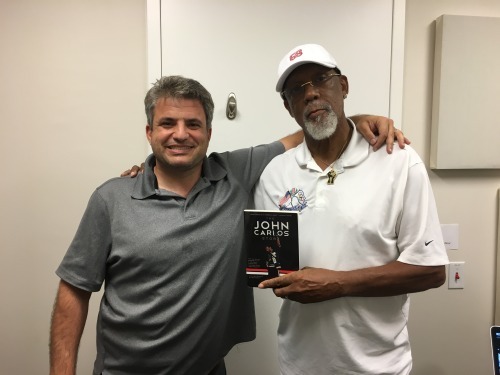 We bring sports and politics icon John Carlos in-studio to talk about how it feels to see a new generation of athletes replicate his anthem protests of 1968. 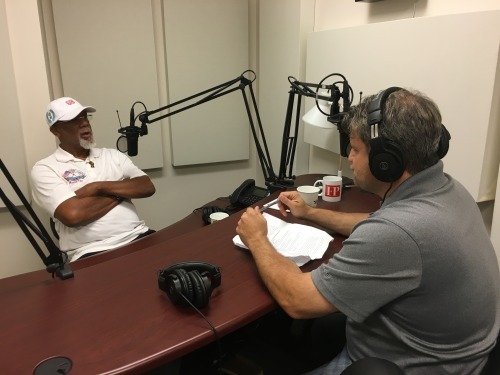 Dr. Carlos - who is having a wild week - also speaks to us about the opening of the new National Museum of African American History and Culture where he was part of the unveiling of a statue of himself, and two other two men on that iconic medal stand: Tommie Smith and Peter Norman. Carlos is also in town to visit the White House. He speaks about what it feels like to be re-embraced and who he still feels owes him a damn apology (spoiler: it’s Brent Musburger.) We also have some choice words for Mike Ditka, we take listener calls and a Just Stand Up Award for the Castlemont Knights football team, showing some A plus solidarity with the protest of Colin Kaepernick. Before Colin Kaepernick, there was Mahmoud Abdul-Rauf. 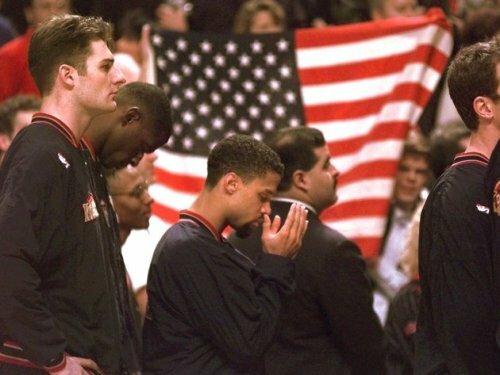 In 1996, the Denver Nuggets guard said that on principle he could not stand for the national anthem because the flag in many countries represents “oppression and tyranny.” He was fined, suspended, attacked, and yet we will hear on this week’s podcast why he has no regrets. 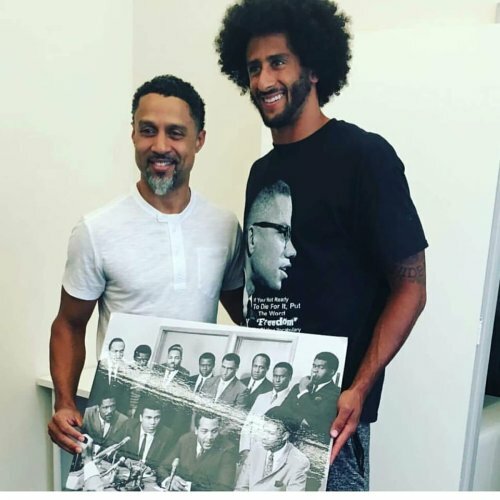 We will also hear what advice Mahmoud Abdul Rauf has for Kaepernick and why he holds the words of Arundhati Roy and Malcolm X close to his heart. Rauf also answers listeners questions including what it felt like to drop 51 points on John Stockton. This is - in my humble opinion - the best interview we’ve done in the history of the show. We also have some Choice Words about Megan Rapinoe’s decision to stand - or kneel - in solidarity with Kaepernick. We also answer a listener call from Patrick, who left a message on our hotline: 401 436 EDGE (3343.) Our question for next week is: what athlete do you want to hear from on the issues that Colin Kapernick has raised. Lastly we have our “just stand up” award for someone who has yet to become visible. 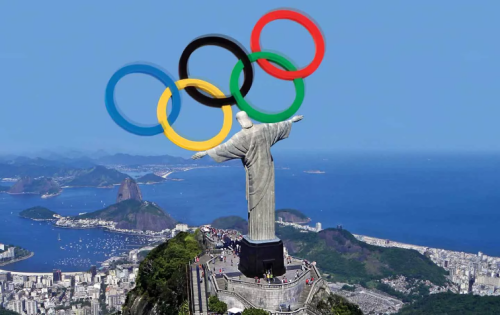 The Olympics are here and as I head to Rio, Edge of Sports has David W. Larkin, an attorney who focuses on the corruption of sports organizations like the International Olympic Committee, about the decision to not suspend Russia from the Olympics. We ask him which is more corrupt: the IOC or FIFA? His analysis may surprise you. We also have some “choice words” about the Rio Olympics - of course - and why ten years ago, almost no one thought having Brazil as a host was a bad idea. But I start the show by speaking about the Khan family, and remember when a Gold Star Mother was attacked ten years ago because she stood up to the war that took her son’s life. I speak about Cindy Sheehan. The Just Stand Up award goes to activist WNBA players who refused to bow to NBA and WNBA chiefs Adam Silver and Lisa Borders, and won. This week’s poll question: Are you watching the Olympics this year? Or are the stories about Rio overwhelming your ability to love the events themselves? Call 401-426-EDGE (3343) and leave us a message. In response to North Carolina’s discriminatory HB-2 ‘bathroom bill,’ NBA Commissioner Adam Silver stood up for LGBTQ rights and pulled the 2017 All-Star game from Charlotte. 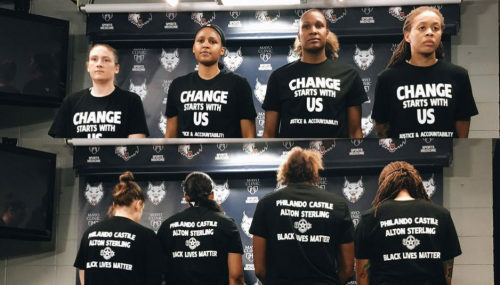 Yet in the very same week, Silver and WNBA President Lisa Borders levied fines on female players who donned black t-shirts in pregame warmups to support the Black Lives Matter movement. To understand this tricky political moment, we have Howard Bryant, a friend of the show, author, commentator and columnist for ESPN. Then, in ’Choice Words’ we have a column about this new era of player power in basketball, and the ‘Just Stand Up’ award goes to WNBA players Tina Charles, Tanisha Wright and Swin Cash for standing up and speaking out. 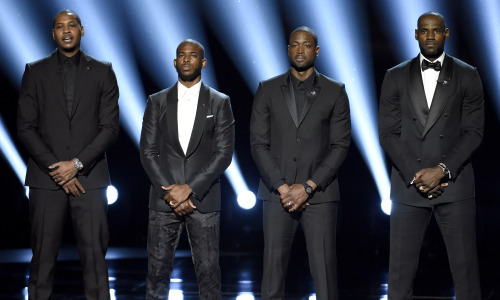 Today there is largely universal praise for the ESPY statements of Carmelo Anthony, Chris Paul, Dwayne Wade and LeBron James. But what about athletes who stood up in much more difficult environment? Today we take a critical look at the ESPY statement with 2012 NBA first round draft pick Royce White. This is an NBA-level talent who has been pushed out of the league for standing up. 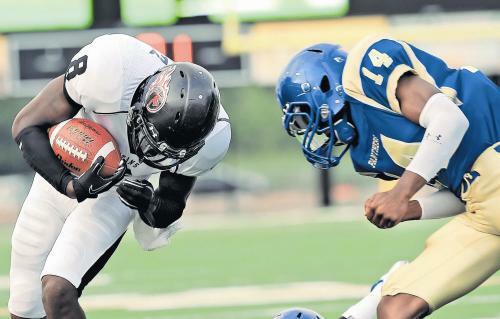 We talk to Royce about the ESPYS and his future. I also have some “Choice words” about the way this discussion of athlete activism is being framed in the #BlackLivesMatter era. 2015–2017 © Edge of Sports Podcast. All Rights Reserved.